Located in the Crown Heights neighborhood, the Frank J. and Harvey J. Ablah House was nominated for its unique architecture and its association with the Ablah brothers. The double-residence was designed and built by the brothers in 1939. 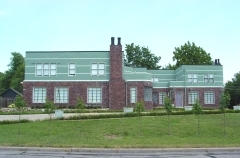 It is one of less than ten residences identified as Art Moderne in Wichita. Frank and Harvey Ablah, along with their father, owned and operated Ablah Hotel Supply in Wichita. The brothers donated land they acquired through various business ventures to Wichita University. At an estimated value of $2.5 million, the land was the largest gift ever made to the university to that date. In response, the university named the Ablah Library after the family. 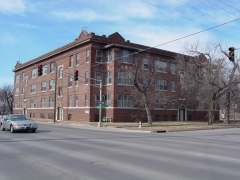 Designed in 1923 by Thomas C. Naylor, the Commercial and Art Deco-style Adeline Apartment Building is nominated as an example of the garden style apartments being constructed in Wichita during the early 1900s. Typical features of garden style apartments are size of the building, no more than three stories tall and 18 to 26 apartment units, within a landscape component. 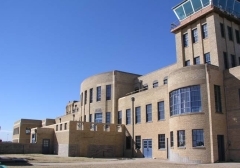 The Administration Building was constructed between 1930 and 1945 as a part of Wichita Municipal Airport. It consists of a central three-story section with two-story wings on either side. The building was nominated as an example of Art Deco architecture and for its contribution to the nation's transportation history. During the 1930s many people, including famed aviator Charles Lindbergh, praised the airport as one of the finest in the country. The federal government took control of the building during World War II and used it until the 1980s. It was turned into the Kansas Aviation Museum in 1991. Allen's Market features Art Deco styled cast stone ornamentation on the front and east elevations. Known as "Carthalite", this distinctive artificial cast stone was produced by a local Wichita company. Allen's Market is nominated for this detailing, and for its association with noted Kansas architect Glen H. Thomas. The Henry J. Allen House is the only residence in Kansas designed by renowned American architect, Frank Lloyd Wright. Construction of the home was completed in 1919, making it one of the last Prairie houses designed by Wright. The home was built for Henry J. Allen, a prominent Kansas politician. Allen was governor of the State of Kansas from 1919 to 1923. He then went on to be a United States Senator from 1929 to 1930. The home was nominated for its association with both Frank Lloyd Wright and Henry J. Allen. 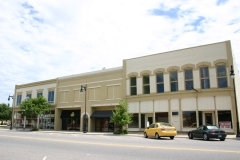 The Arkansas Valley Lodge building is the only surviving commercial structure of the once thriving African American business districted located on North Main Street. Arkansas Valley Lodge 21, Prince Hall Masons, was charted in July 1885. 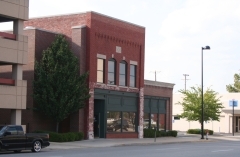 The Lodge constructed the building at 615 North Main in 1910 to serve as a permanent meeting hall. It was renovated in 1948. The building served as the social center of the African American community during the early 20th century. 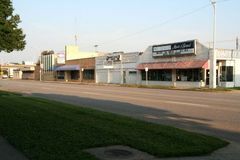 The Ash-Grove Historic District on East Douglas Avenue was nominated under Criterion A for its association with the growth and development of this commercial cluster opposite Wichita East High School. The 2100-2300 Blocks of East Douglas Avenue were initially developed during a time when the city was experiencing explosive growth that led to neighborhood and commercial expansion outside the city's core. Development along this section of East Douglas, one of the city's main east-west thoroughfares, followed the establishment of Wichita’s "Auto-Row" on East Douglas immediately east of downtown and coincided with the selection of the south side of the 2200 block as home to Wichita's new high school, built in the 1920s to serve the eastward-marching Wichita population. This growth stalled by the end of the decade as the 1930s ushered in a focus on survival, not expansion. The second wave of development within this district spanned from 1940-1960. Wichita's World-War II and post-war growth was related largely to Wichita's aviation industry. Grove Street, the eastern boundary of the district, served as the north-south thoroughfare connecting the aviation businesses that had developed south and east of the city. Eight new buildings were constructed in this three-block area in the post-war era. The district generally took its current form by 1960. The Ash-Grove Historic District is locally significant; its period of significance spans from 1917 to 1960. The period begins with the earliest extant building's date of construction and ends with latest extant building's date of construction. All of the district's 19 properties were built during the span between these two buildings, reflecting two distinct periods of development. The buildings reflect two primary architectural styles -- Late 19th and Early 20th Century American Movement: Commercial Style and the Modern Movement in architecture. The district is composed primarily of secondary commercial and light industrial buildings that are distinguished as a group by their high level of integrity. 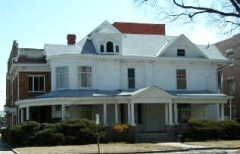 The Oscar and Ida Barnes House is located in Wichita's Midtown neighborhood and was completed in 1911. It is an excellent example of the Italian Renaissance style exhibited on a foursquare, a common house form of the early 20th century that allowed for considerable variation and experimentation in style. The Italian Renaissance style was most popular in Wichita between 1900 and 1920. In residential architecture, it is typically characterized by a low, hipped roof with ceramic tiles, wide eaves with brackets, a symmetrical facade, stucco or masonry walls, and Classical columns and details. The Barnes House also exhibits the Craftsman style in its built-in cabinetry, geometric window designs, and interior floorplan. The architect is unknown, although it may have been Charles Terry, who worked with Oscar Barnes on the design of several commercial buildings. 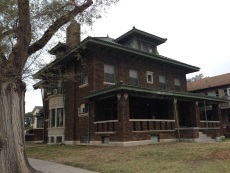 It is nominated to the National Register as part of the "Residential Resources of Wichita" multiple property nomination for its local significance in the area of architecture.